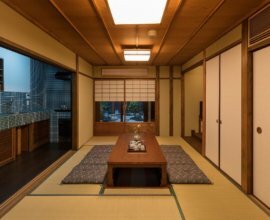 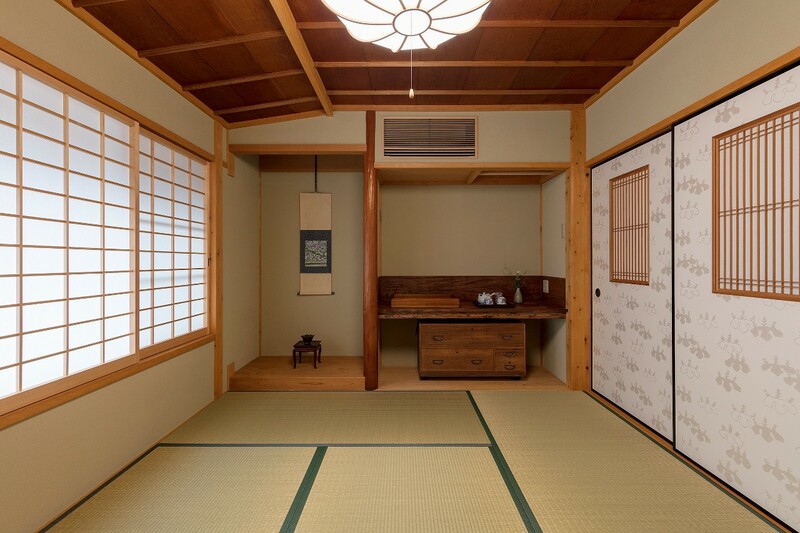 Ochaya tea houses were once a popular establishment – where customers could converse with geiko & maiko girls, while being entertained by games, and song & dance. 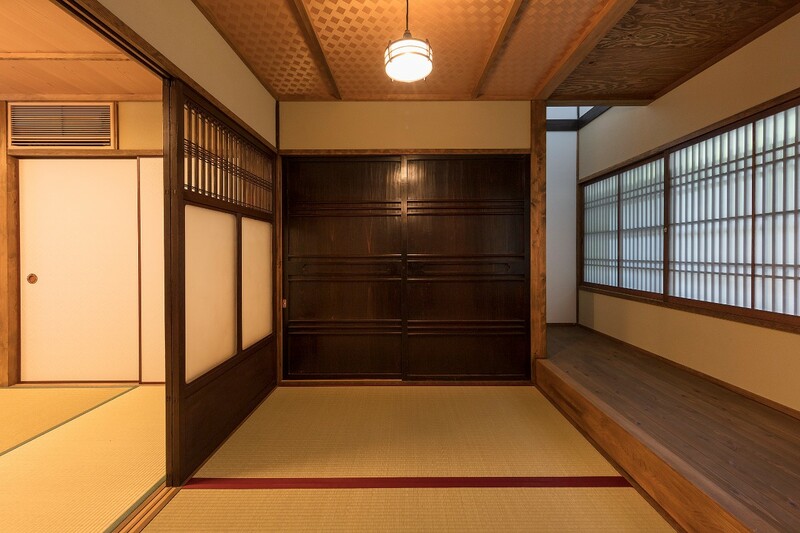 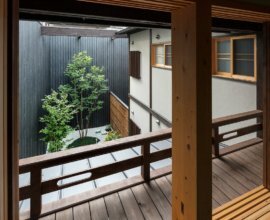 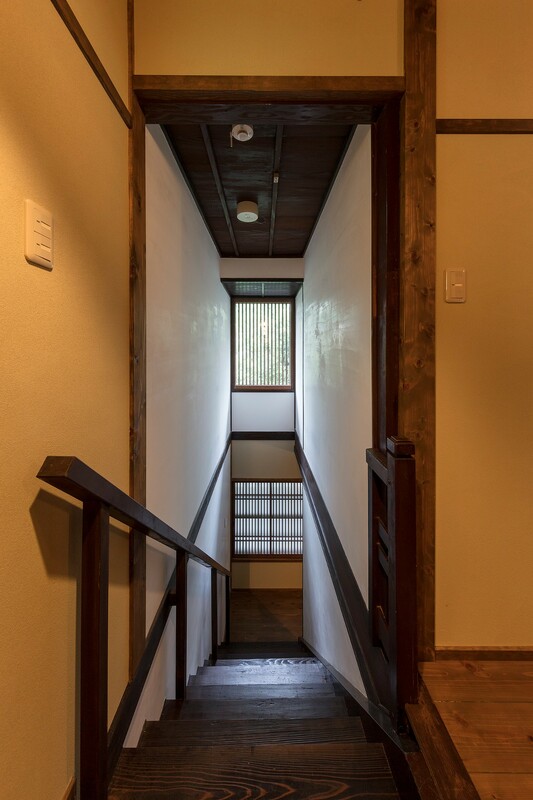 Garaku-an machiya house has been re-designed to resemble these quintessentially Japanese wooden architectures. 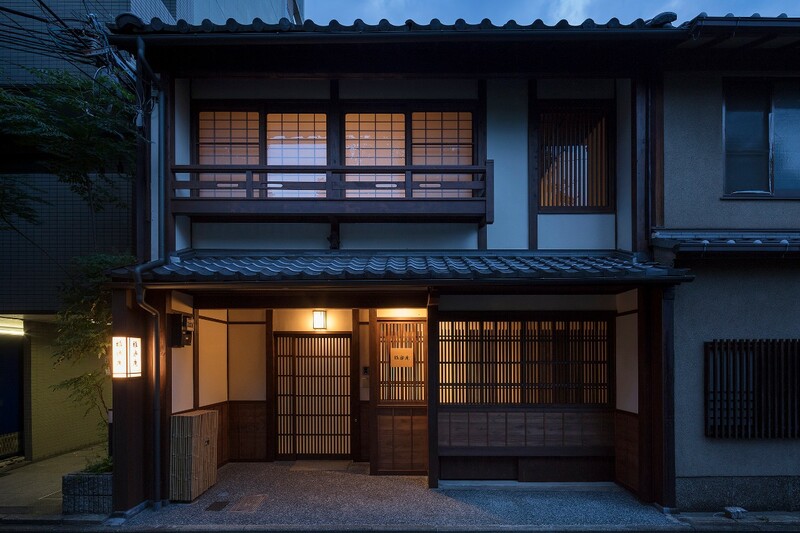 During the evening, the lattice windows allow for the interior light to faintly trickle through-- recalling a fascinating history and culture. 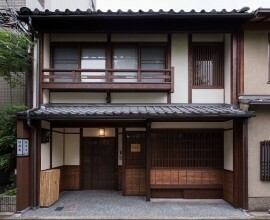 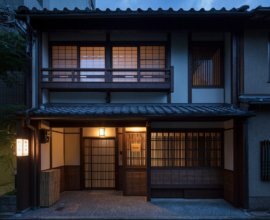 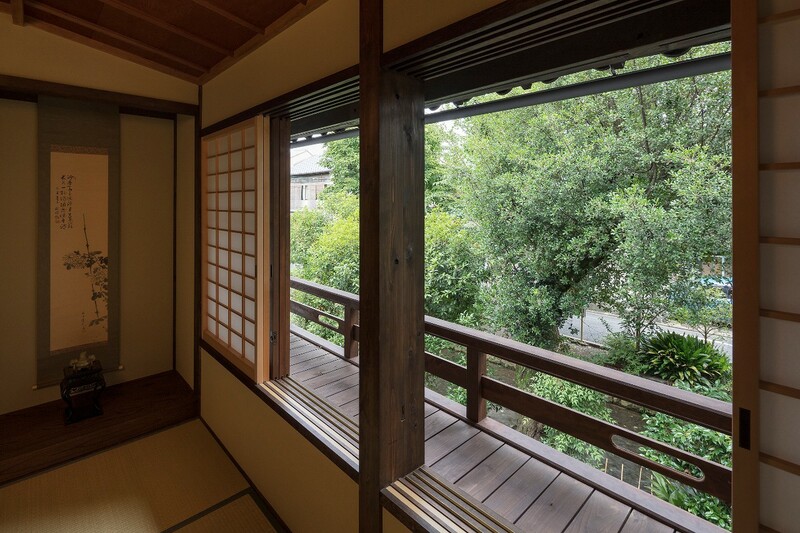 Garaku-an machiya house also resides along the road of the Takasegawa River, providing you with a serene view during your stay in Kyoto. 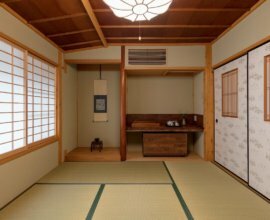 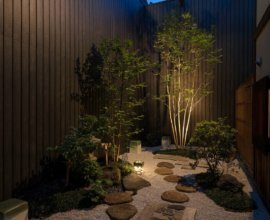 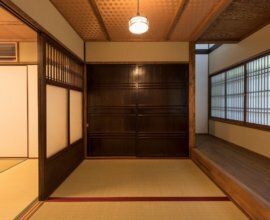 Inspired by Japanese Teahouses Find traditional designs such as the lattice exterior, tatami flooring and delicate woven woodwork. 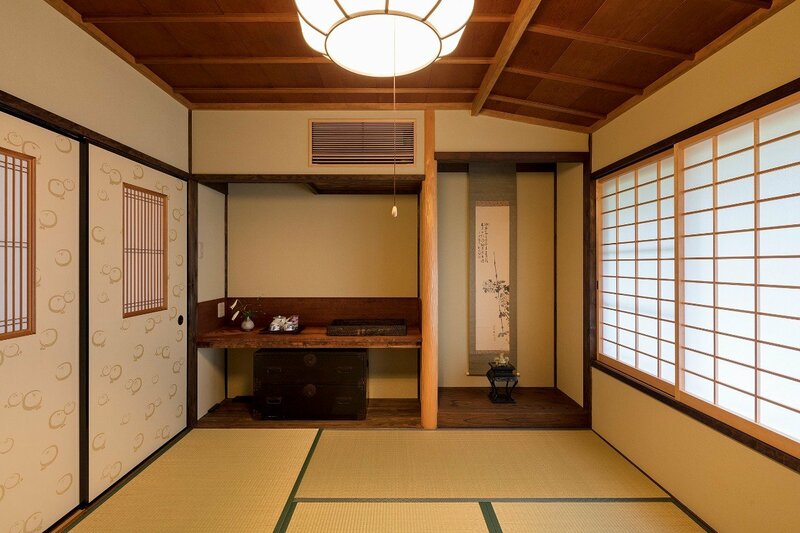 Have a hot drink at the low table with a sunken floor and reflect on the day's sights. 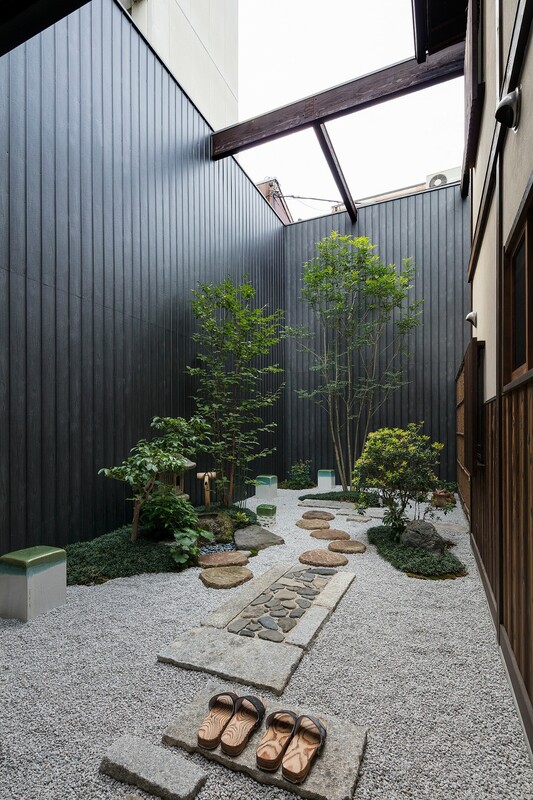 Courtyard Garden Look onto the majestic Japanese garden from the veranda, living room, bathroom and 2nd floor. 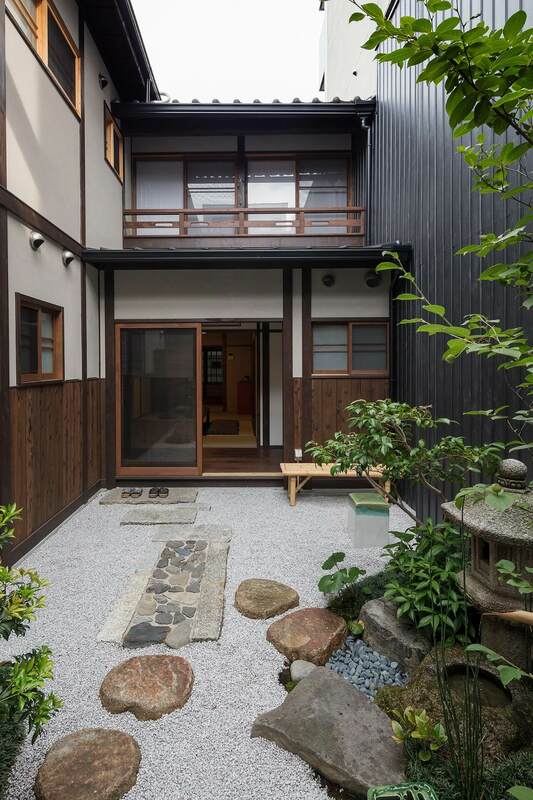 Step into the fresh air to admire the greenery and stone arrangement. 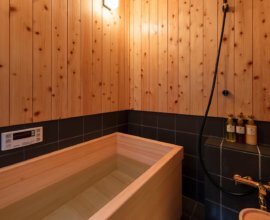 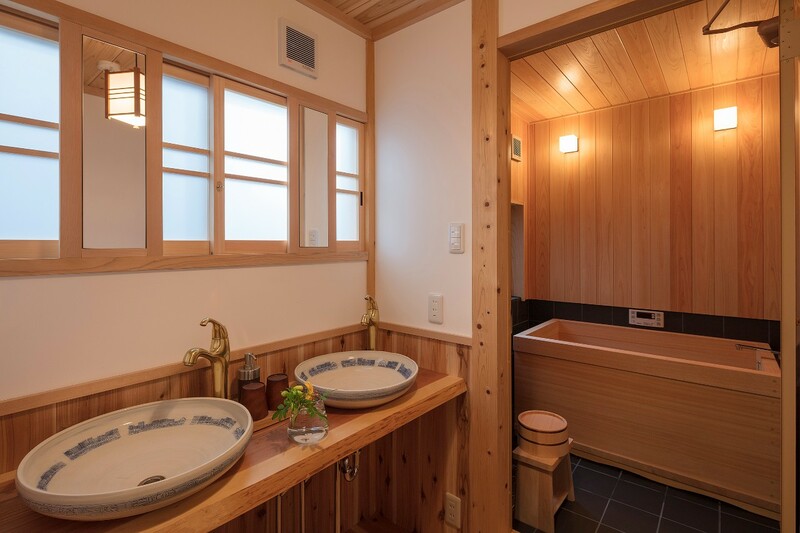 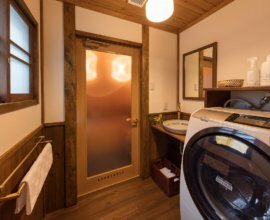 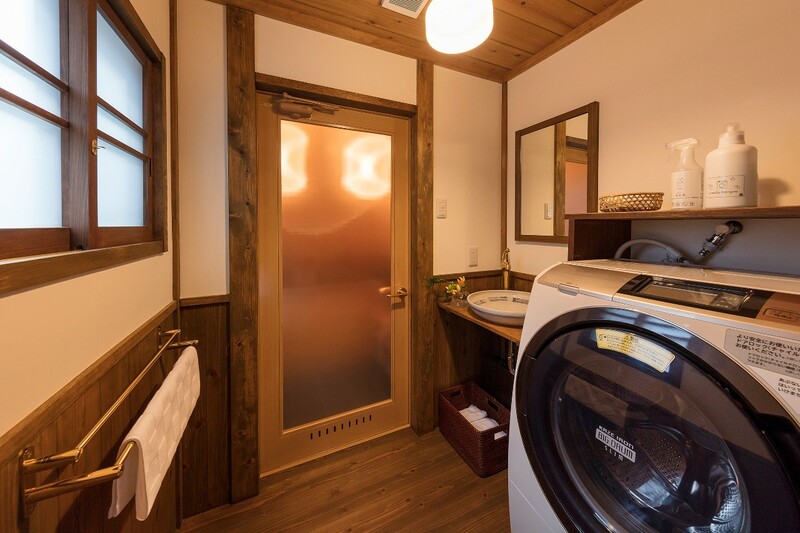 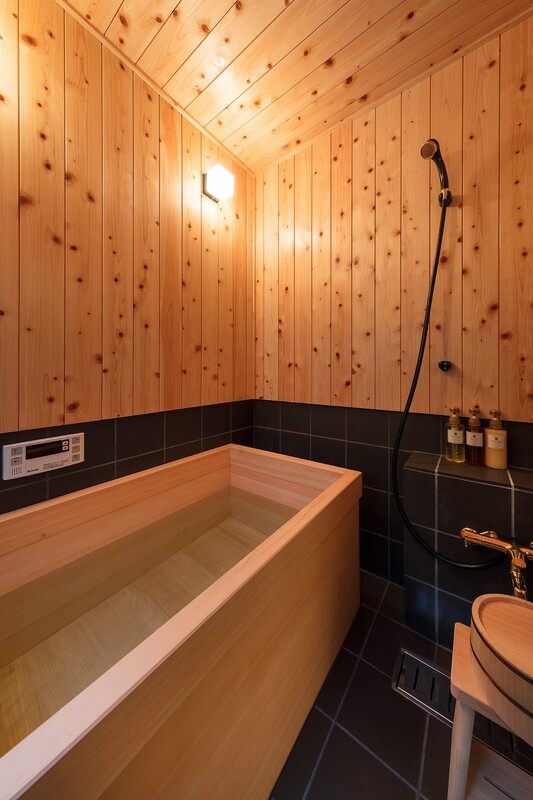 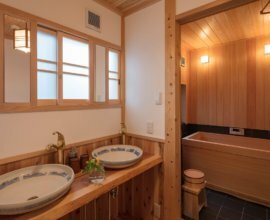 Hinoki Wood Soak in the Hinoki bathtub in the wood-panneled bathroom for a spa-like experience. 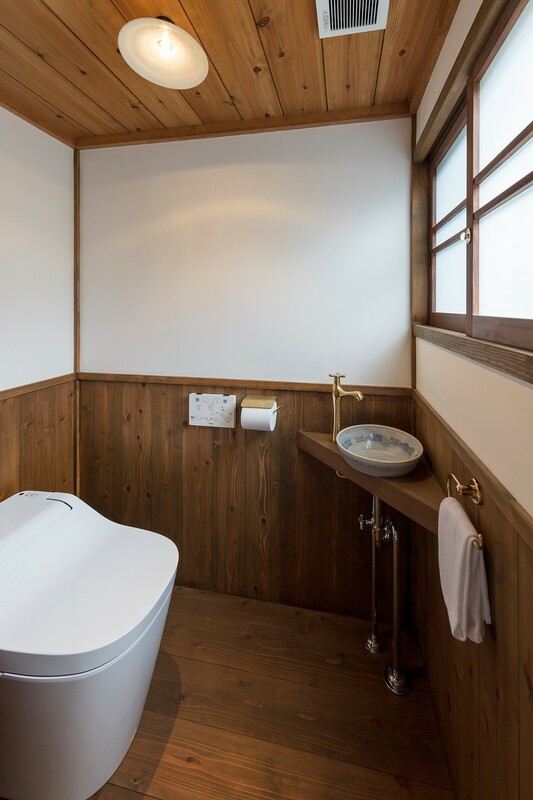 Slate-coloured tiles bring out the warmth in the Hinoki, a symbol of purity. 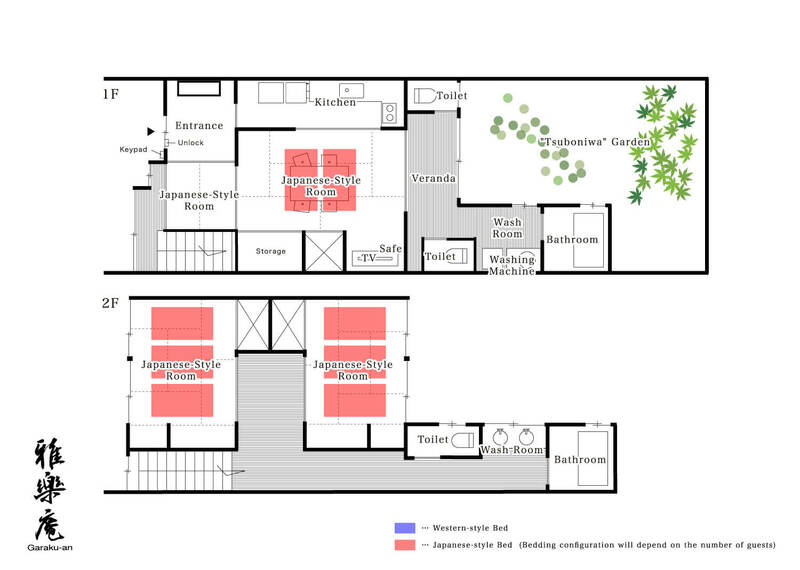 Living Room The heart of the home, this open space is surrounded by the garden, bathroom and kitchen. 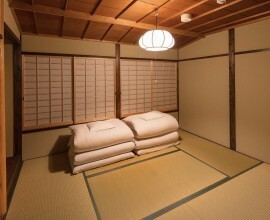 Sit back and relax in this area perfect for gathering with your guests. 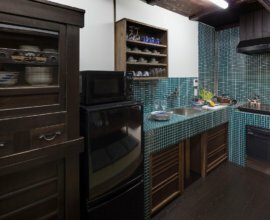 Kitchen Prepare your favourite meal using fresh, local ingredients. 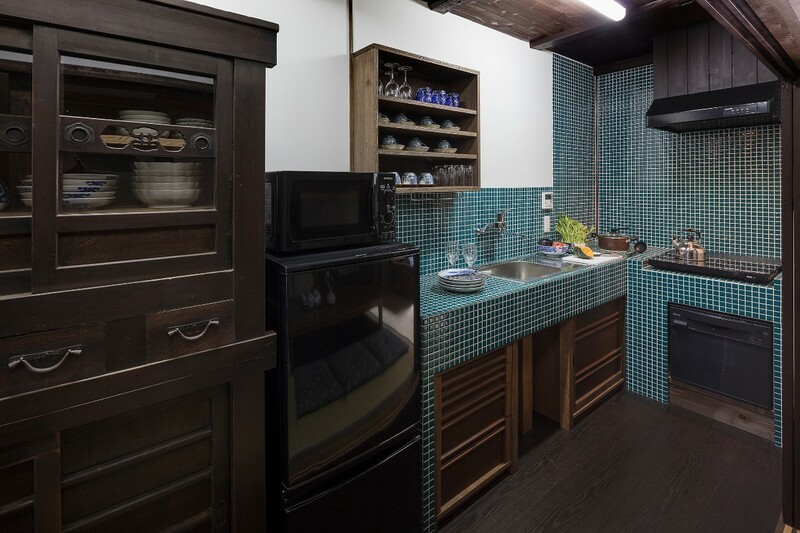 The antique cupboard is filled with Japanese dishware, and the azure-blue tiling adds a pop of modern style. 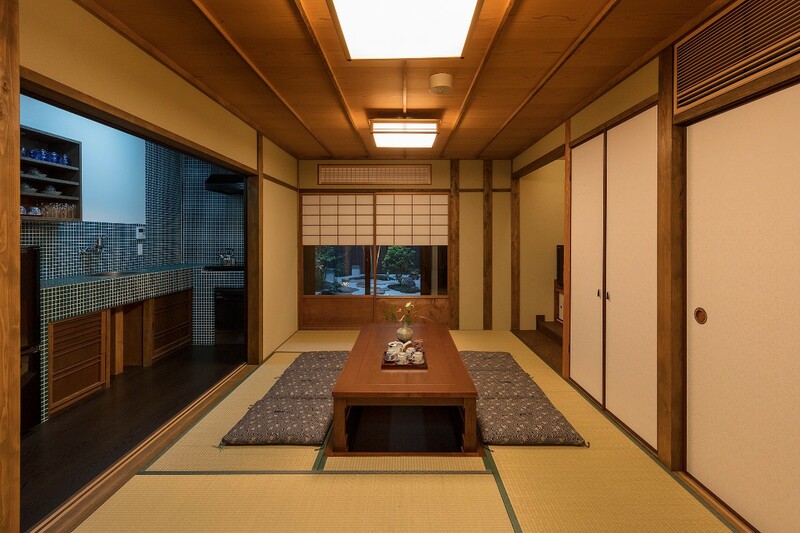 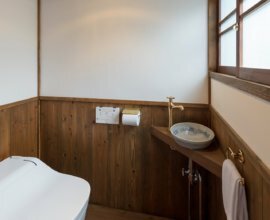 Bedrooms With views of the garden and Takase River, cozy futon bedding, kyo-karakami wallpaper and woodwork, enjoy Japanese living in the two 2nd floor bedrooms. 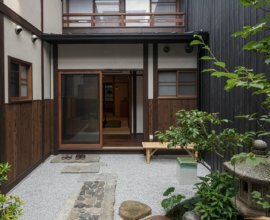 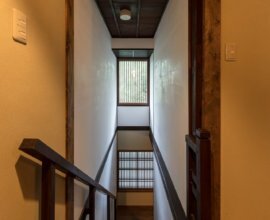 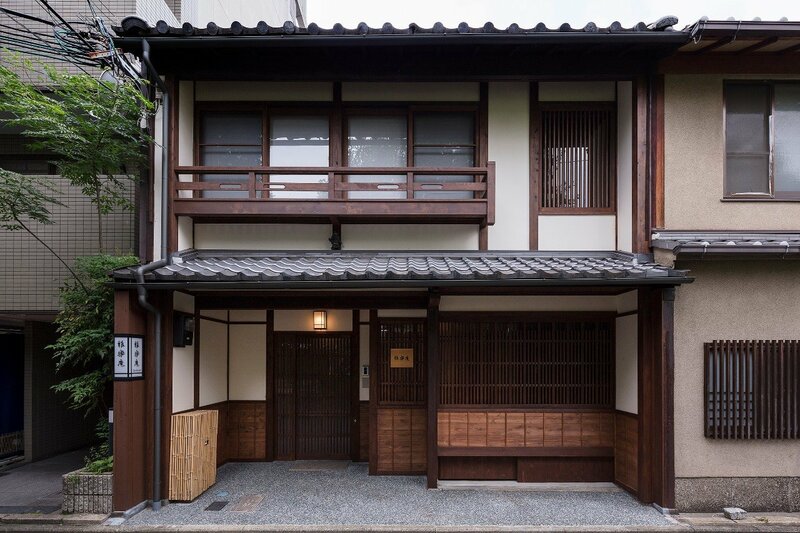 Situated on a quiet lane alongside the Takasegawa canal, this spacious machiya will introduce you to the hidden gems of Kyoto. 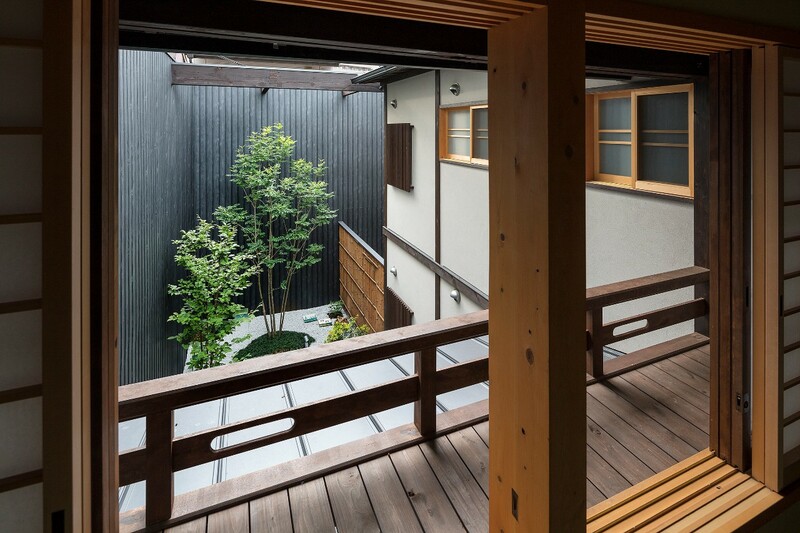 Garaku-an is found in an ideal location – looking out towards the Takasegawa River. 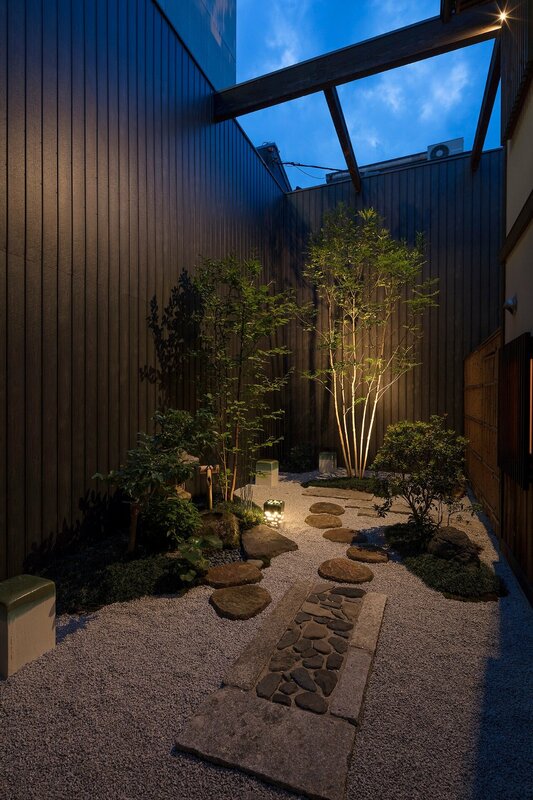 Enjoy the calm and serene view. 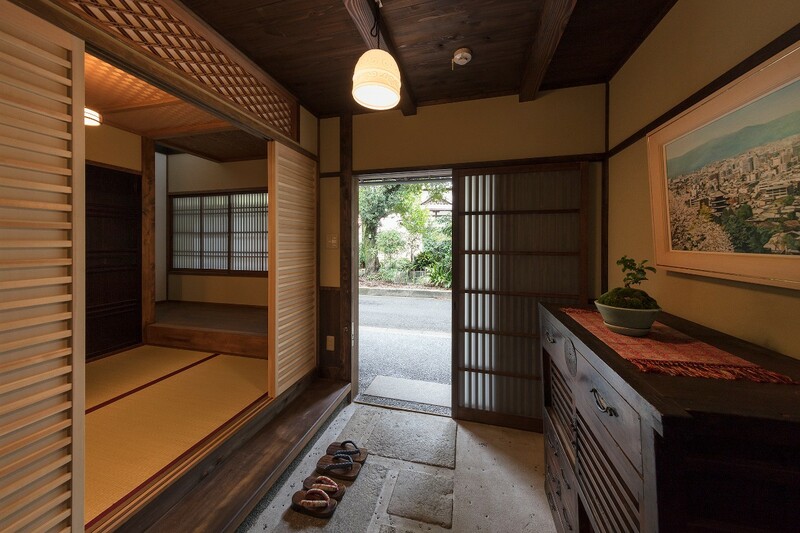 Cherry blossoms in the spring, bright greenery in the summer, vibrant maple leaves in the autumn, and the crisp air of the winter. 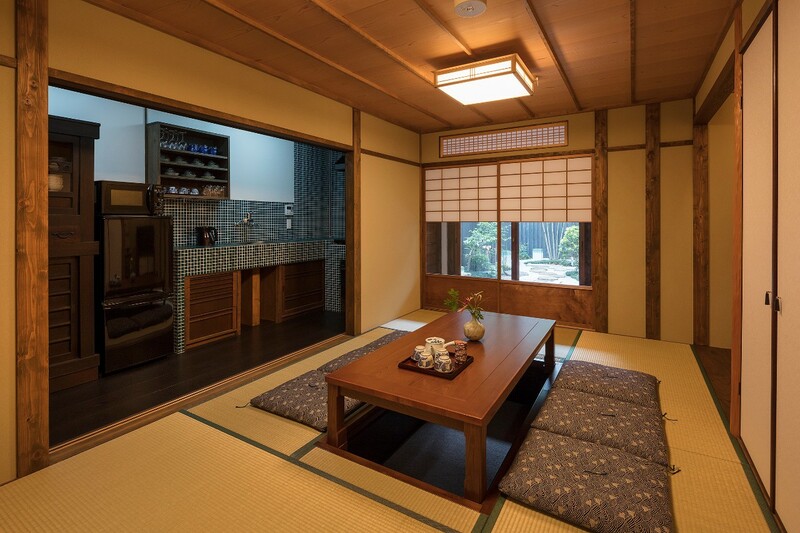 From the tsuboniwa garden, you will also be able to enjoy a private atmosphere of the changing Kyoto seasons. 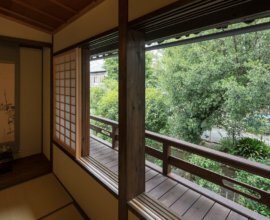 Take an early morning stroll up Kiyomizu Temple to avoid the crowds and bask in the quite atmosphere of a temple that has more that 1200 years of history. 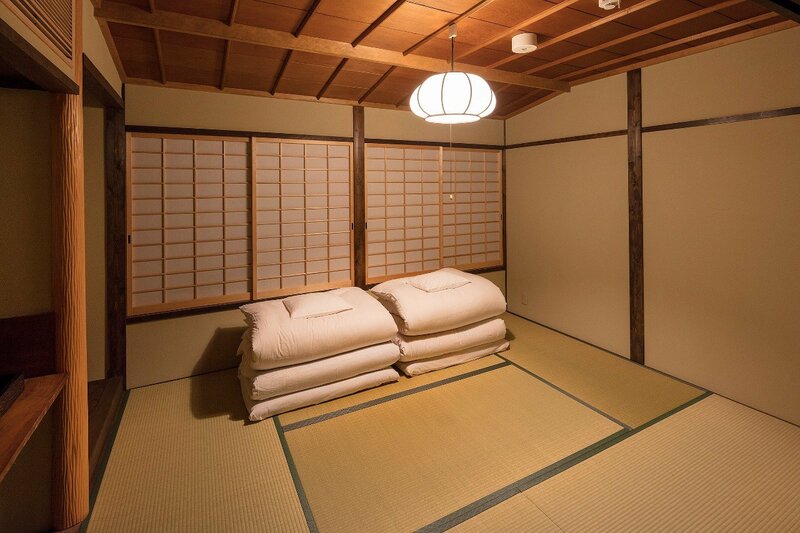 Or jump on the Keihan train and venture south of Kyoto Station to where you will find the Fushimi Inari Shrine. 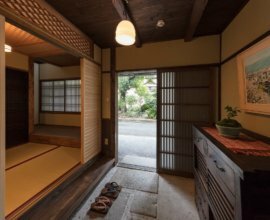 Thousands of vermillion torii gates that wind up and down the mountainside, allowing you to delve further into history with each step.